The Tallis Cannon as performed by our fabulous Year 5 guitarists! 20th and 21st March - Y3/4 production of 'Snow White'... details to follow! Friday 22nd March 2019 - KS2 Music Celebration Concert 2pm in school. Featuring keyboard, guitar, recorder and woodwind players. Tuesday 26th March 2019 - Y4 Trip to see the world famous Halle Orchestra at City Hall! The theme is 'Conflict & Resolution' featuring music from 'The Planets Suite' and Star Wars. Y4 will be singing a medley of WW1 songs with the orchestra. Pathways recorder and pathways clarinet lessons (Y6 only) will still be administrated through school. See the letter below for more details. 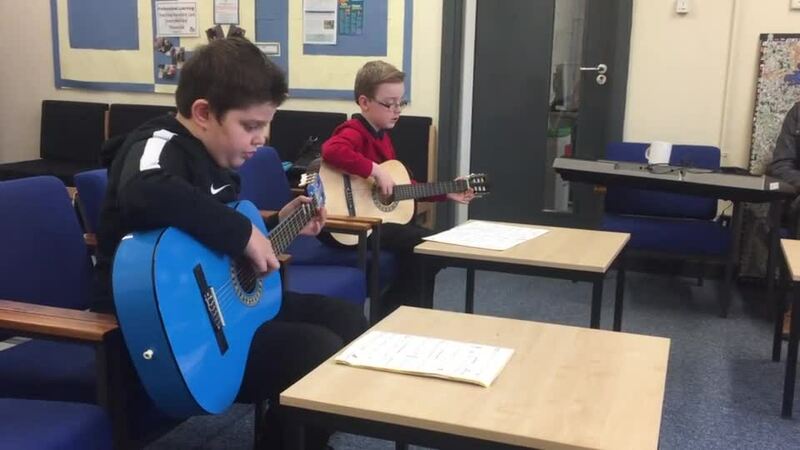 Ben teaches guitar to Primary school beginners and SEN children. He has taught at the Hub Jazz Holiday Course for the past two years and is also part of the Hub Jazz band. He has an interest in improvisation. Nigel studied recorders with Alan Davis and Ross Winters at the Birmingham Conservatoire and the Royal College of Music, London. He is Musical Director for Dore G&S Society and is recorder consultant for the Victoria College of Music, London. Nigel has worked at Sheffield Music Service since 2001. As part of our music lessons in key stage 2, we learn how to play the recorder. In the classroom music lessons we provide each child with a good quality descant recorder to use. However, I know that many parents like to buy a recorder for their child to practise on at home and I am often asked about which instruments are suitable. When your child has their lesson in school, they will not need to bring in their keyboard because we have instruments at school for them to use. However, your child will need their own instrument to practise on at home. Many parents have asked me about the type of instrument to purchase so I thought I would send some suggestions and links to help you. An example of a suitable instrument are either Yamaha PSR-E353 or the PSR-E363 models. If you would like more details of this keyboard, please have a look at the following link on Norman’s Musical Instruments website.